March 2014 ~ Eat. Run. Rehabilitate. Guest Post: Acute idiopathic torticollis in a male high school basketball player. I am one of Adam's classmates at Illinois State University and I work at a local HS. I am a Certified Athletic Trainer with CSCS, and NSCA-CT credentials. I have Graston Technique and Technica Gavilan IASTM certifications. I have also taken some PRI courses--Myokinematic Restoration, Postural Respiration, CCM, and I just finished Impingement & Instability this weekend. I use manual therapy, PRI, and corrective exercises in my practice but this case was an acute episode of left torticollis. So, I mostly used manual therapy to manage this case. 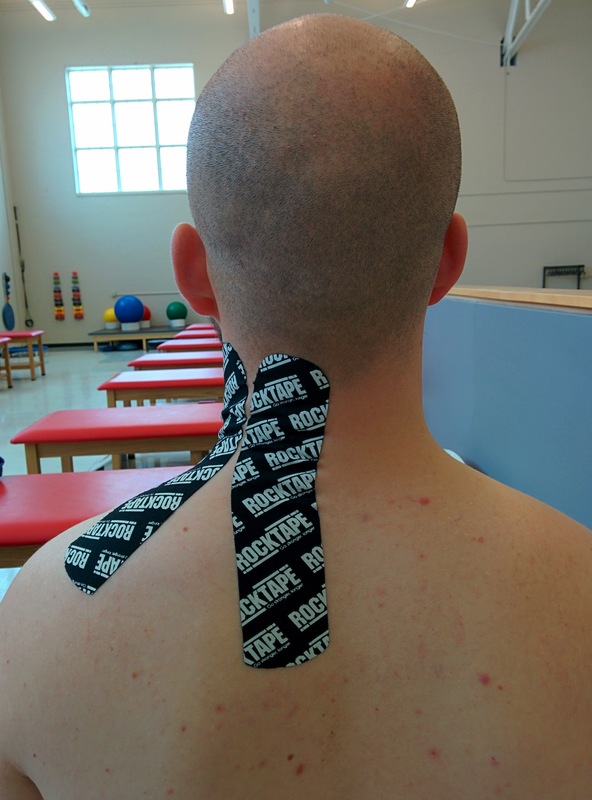 In this case report, I used Muscle Energy Technique (MET) and Strain-Counterstrain (SCS) technique with an application of Rocktape to manage acute idiopathic torticollis in a male high school basketball player while he played playoff games. A 16 year-old basketball player came into the ATR 10 minutes before his practice started, c/o of left neck pain and tightness that resulted in his inability to look left. He stated that he started noticing tightness and pain that gradually becoming worse in the afternoon. Any other symptom was stated. It was in-season and was a day before his playoff game and he was needed in practice because he was one of better players on the team. - At resting with seated, his neck was rotated and side bended to right a little bit. - Active left cervical rotation was limited and was about 15deg with pain in the left side. Full right rotation. - Active left side bending was also limited and was about 10 deg with pain in the left side. Full side bending. - Palpable tightness over left cervical extensors, upper trap and levetor scapula compared to right. He c/o pain with palpation of these muscles. - MMT to cervical flexion, extension, right rotation and right side bending were 5/5 without pain. Left cervical rotation and left side bending were 3/5 due to pain. - No history of a car accident, head or neck injury, or shoulder pathology. No history of medical conditions or surgery that should be noted. No signs and symptoms other than tightness, pain, and limited ROM of the c-spine. Day 1, after a quick evaluation, he had to go to the practice so I only had 10 minutes to treat him. I began with MET isometric reciprocal inhibition on left rotation and side bending. I didn't target specific muscle but general motions. I had him to rotate and side bend to the right from neutral to gain motions on the left side by inhibiting these tight musculature. There was not much improvement but he had to go to the practice. 15mins later, the player came back to me because he could not play due to pain. So, now I had a little bit more time to treat the athlete. I had him lay supine and checked his passive ROM. Passive left cervical rotation and side bending caused pain as did active, displaying limited ROM. I used SCS on his left upper trap and levator scapulae because I suspected muscle spindle hyperactivity. After resetting the mechanoreceptors, he had increased left cervical rotation and side bending. After finding the most tender spot, I kept a pressure and started counting time. Then I slowly increased left rotation. Once he feels no tenderness under my finger, I stayed there for about 20-30sec and then increased a little further and repeated. At the same time, I added some side bending a little by little to gain the ROM. After one session of this technique, his active left rotation was about 80% of his right rotation and side bending was about 30% of his right side bending. (active left cervical rotation about 75deg and side bend about 25deg). Then, I performed a 1st rib MET on the left for one set of five isometric contractions to inhibit his left scalenes and to regain the function of left side bending. Fortunately, I had a sample of Rocktape from Adam, so I put the player’s neck into flexion, right rotation and right side bending to place his left neck muscles on stretch then applied two strips of Rocktape. One strip was applied from the occiput to about T3 level and the other strip was applied from the mastoid process to scapular spine. My intension to use Rocktape was to inhibit the hyperactive or hypertonic muscles. I had some personal experience of inhibiting hypertonic muscle with Rocktape previously. 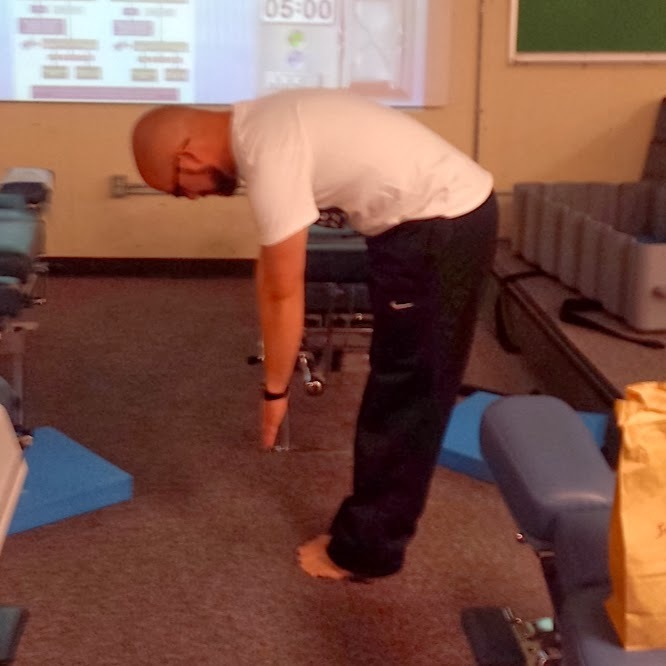 After those interventions during 15 mins of treatment, he was still limited to left sidebending with pain, but was able to complete the practice with the team. He ended up keeping the Rocktape on for the next four days. Day 2, the day of the playoff game, he returned with full left cervical rotation without pain and improvement on left side bending, which was 80% of right side with minor pain. On that day, I used MET for left 1st rib, upper trap, and levator scapulae with isometric autogenic inhibition. He played the game without any complaint, and we won the game. Day 3 and 4, he had no limitation on both left rotation and side bending and no pain. On that day, I used MET for 1st rib only. No deficit with RROM for flexion, extension, both rotation, and both sidebending. He completed a practice without any complaint. Day 5, he had returned to play without treatment. He completed a practice without any complaint. Day 6, he had no complaint from day 5. He played the playoff game without limitation or complaint. We won the game. In conclusion, Rocktape and manual therapy were a lifesaver for this athlete, his team, and me. Without them, I think he would continue to suffer from his tight and painful neck muscles, which could have affected the dynamics of our entire team and lost their first playoff game. Also, I was satisfied with the immediate improvement of cervical motions, especially rotation, with SCS technique. I wonder how an outcome would have been if I did not know SCS technique and just provided a very traditional intervention, such as heat modality and stretch. I need to thank my undergraduate program and faculty, which brought a SCS technique expert from University of Oregon for us to learn. Further, I think the tape maintained immediate effects of the SCS and MET techniques and even more so enhanced inhibition of those hypertonic muscles that caused pain. Overall, I was happy that he responded so quickly and positively to the intervention thus allowing him to return to play very quickly. 1. Crowner BE. Cervical dystonia: Disease profile and clinical management. Phys Ther. 2007;87(11):1511-1526. 2. Patel S, Martino D. Cervical dystonia: From pathophysiology to pharmacotherapy. Behavioural Neurology. 2013;26(4):275-282. 3. Dool JVD, Visser B, Koelman JH, Engelbert RHH, Tijssen MAJ. Cervical dystonia: Effectiveness of a standardized physical therapy program; study design and protocol of a single blind randomized controlled trial. BMC Neurology. 2013;13(1):1-8. 4. Pelosin E, Avanzino L, Marchese R, et al. KinesioTaping reduces pain and modulates sensory function in patients with focal dystonia: A randomized crossover pilot study. Neurorehabilitation & Neural Repair. 2013;27(8):722. 5. Godse P, Sharma S, Palekar TJ. Effect of strain-counterstrain technique on upper trapezius trigger points. Indian Journal of Physiotherapy & Occupational Therapy. 2012;6(4):77. 6. Iqbal A, Ahmed H, Shaphe A. Efficacy of muscle energy technique in combination with strain-counterstrain technique on deactivation of trigger point pain. Indian Journal of Physiotherapy and Occupational Therapy - An International Journal. 2013(3):118. Hey Readers! I use a lot of different tapes, and taping techniques in my toolbox when dealing with athletes and their injuries. A lot of these things are just "tools" from my toolbox to help athletes cope with their injury(s). I don't think I can think of a single incidence where I consider the tape to be a fix to a problem but it does work as a great complementary treatment to reduce pain and increase function for my patient's when used in combination with rehabilitate/corrective exercises. About two months ago I attended Rocktape's Fascial Movement Taping level 1 & 2 certification seminar (read that review here). Since then I have experimented with various taping techniques and have had results ranging from mediocre to outstanding for some of my athletes. One technique in particular that I have used with great success is one for anterior knee pain. I have used this with a number of athletes suffering from anterior and/or medial knee pain and they have noted definite rapid and dramatic differences in knee pain with activity. Some people might argue that this tape is purely placebo and if that is true, so what! I use a neuro-based model for a lot of the manual therapy and corrective exercises that I use on a daily basis. So if I am just tricking the brain into thinking that it is feeling less pain with this tape job then mission accomplished! Without further ado, lets get to the tape job. I use Rock Tape myself because I feel from previous experience that it is stickier, better elastic recoil, cooler colors and patterns (more placebo power), and great construct quality compared with competing brands of "kinesiology" tape. Nevertheless, I feel that this technique would work when using those competing brands of tape as well. No stretch as you lay down the tape, just tension off tape. Distal/Proximal pull doesn't make a difference. Repeat step 1 (above) but in the exact opposite fashion. Do not begin tape on top of tape if you want better results in terms of application longevity. Supposedly this applies a very nice "lift" to the middle portion of the tape where the stretch is at. Here is a video I made for all of you that shows how to do this taping technique in real time! Check it out! Ignore my mint green shirt! It was made to support National Athletic Training Month 2014...which coincidentally is right now (March)! I hope you guys enjoy this post and video and I hope you are able to find similar results like the ones that I have. If you don't, then don't waste your time continually applying this method and find something else that works! 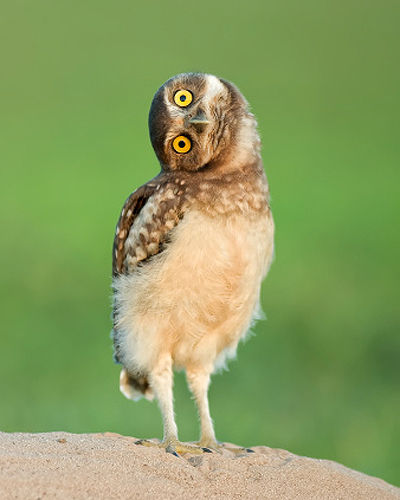 When you find that something else...come back here and let me know about it so I can learn from you! In conclusion, this is a great adjunt therapy but it is important to remember that this isn't the fix and you should be doing other stuff to address the true source of the knee pain. Welcome readers! Today's post is about a very recent case of mine straight from the clinic! This is a mini case-study about a 22 year old male collegiate basketball player. This patient took direct blow via an elbow to the anterolateral aspect of the cranium during a basketball game on Saturday evening. After the game the athlete presented with several concussion symptoms as well as TMJ pain and a palpable and audible click with opening and closing of the mouth. Headache, "pressure in head", "Not feeling right", Difficulty Concentration, and eventually added the symptom of difficulty sleeping the next morning. 1 Previous Concussion in the symptom prior where the patient suffered much more severely on the SCAT2 and had post-concussive symptoms for 2-3 weeks following initial injury. Long before this case presented to myself I often wondered about possible connections between concussion symptoms, and temporomandibular joint(TMJ)/temporomandibular dysfunction(TMD)/ and cervicogenic headaches. I questioned whether a person could present with concussion symptoms due to potential muscle guarding/spasm and possible involvement of TMD/TMJ issues. Obviously I still treated this patient as having a concussion and his symptoms had slightly increased the following morning(Sunday) as well. Nevertheless, despite the fact that I was treating him for a concussion and ordering complete neurocognitive rest (despite having perfectly acceptable objective test scores on the SCAT3) I decided to treat his TMJ and neck musculature using manual therapy. NOTE: Current policy with our team neurologist is to assume its a concussion and wait to imPACT test the patient with cessation of symptoms. I only did a few minutes worth of manual therapy for this patient and they were done with very light pressure. I started with 1-2 minutes of light IASTM to the Masseter, and myofascial release of the Temporalis using my hands. (Both pictured in the above photos.) I followed these up with some light lateral mandibular glides bilaterally for about 30 seconds each. Finally, I applied lateral-medial/posterior-anterior pressure with the pads of my second digit on both sides of the first palpable spinous process while the patient simultaneously performed an active cervical retraction or chin tuck, if you will. This was done in an alternating fashion with pressure on again/off again in 2-3 second cycles for about 30 seconds total. The following day (Monday) the patient reported complete cessation of his symptoms and the TMJ issue had not returned. The patient underwent imPACT testing which came back normal and began the first step of a graduated return to play progression. In conclusion, what does this all mean? I don't know. What if I wouldn't have chosen to treat the patient with manual therapy. Perhaps he would have awoken still with total cessation of symptoms and would have passed his imPACT as well. (This still doesn't even prove he didn't suffer a mild concussion!) Another potential alternative is that the patient could have continued to suffer from "concussion" symptoms for days at a time and perhaps this would have delayed his imPACT testing and subsequent return to play/activity/sport. This is not necessarily a bad thing because it is always best to play it safe. However, it also means that my patient/athlete would have had to suffer undue pain/discomfort related to his TMD/"concussion" symptoms. He also would potentially have to miss out on class/social activities/and experience a lot of undue psychological stress if I hadn't treated these findings. I am just curious if others if had these similar thoughts/case/experiences or what you all think of this? Help Me, Help You: I'm on Google Help Outs! Hey everybody! It's an exciting yet very interesting time for me right now. I am half way done with data collection for my master's thesis, and if I finish it on time then I'll be graduating in the beginning of May. On top of that and the focus of this post is that I am trying a new hat on for size with an endeavor into the world of Google Helpouts. 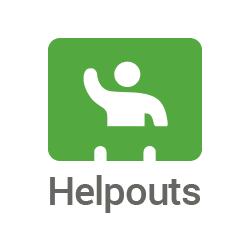 Google Helpouts is a relatively new service where Google tries to pair up everyday people needing specific help with experts in the respective fields of need. For instance, if I needed help with my car Google would set me up with a car mechanic to see if they could assist me via video chat. So here is the part where I come in... I want to use Helpouts to assist people with moving better, feeling better, and performing better. 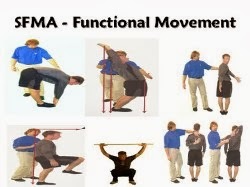 I believe with my movement based system of assessment (FMS & SFMA) I will be able to help others achieve these goals. I am going to approach this initially with an injury prevention, movement analysis, performance enhancement and nutrition focus. I look forward to broadening my pool of people to work with and if that person is you I can't wait to get started in assisting you to achieve your goals. Google has generously offered me a code allow you to have your first Helpout session with me for free (ADAM99V). Each session will last a minimum of 45 minutes if needed at a rate of $25. Check out my profile and schedule a Helpout with me ASAP! Can't wait to see what this brings!